Friends of the Catskill Mountain Rail Trail - Let's build the trail! Why do we need the Catskill Mountain Rail Trail? Forty-four jobs will be created in Ulster County because of the Rail Trail. This is in addition to the 980 jobs that outdoor activities in the central Catskills already support, generating more than $46 million annually. The old Ulster & Delaware corridor runs through ecologically important habitats: forests, wetlands, stream-sides and dramatic views. Building the rail trail will help conserve this vital part of our natural heritage – important for plants, birds, animals, and for people. The rail trail will generate $3.1 million in new spending in Ulster County each year. This represents an increase in $112,000 in annual county tax revenue. 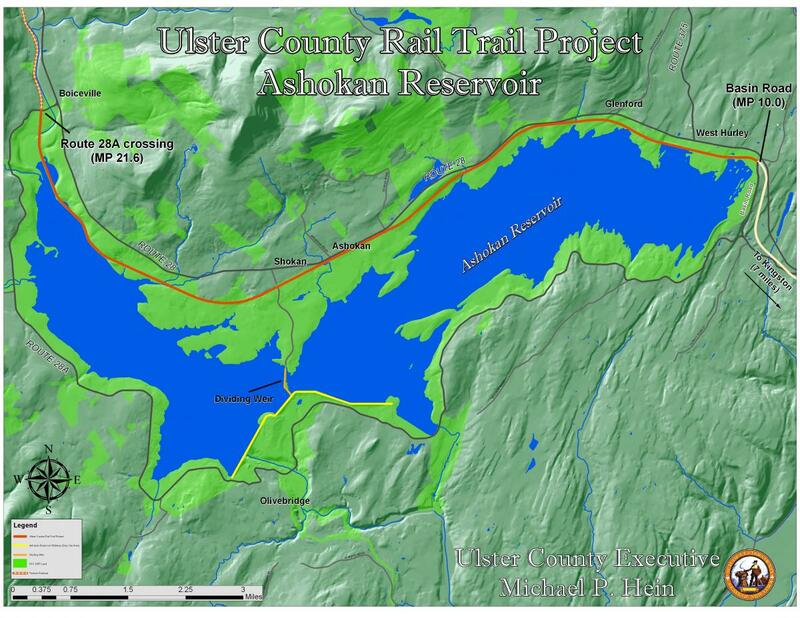 Starting in Kingston, the Catskill Mountain Rail Trail will curve around the Ashokan Reservoir. In Boiceville the scenic tourist train will run for a six mile section up to Phonecia. From there the trail will continue westward following the Esopus Creek, ending in Highmount. The Catskill Mountain Rail Trail will be a 38-mile section of the tax-payer owned Ulster & Delaware Railroad corridor. The City of Kingston will thus become the central “hub” of three rail trails: Wallkill Valley Rail Trail (Route 32), O&W Rail Trail (Route 209) and the Catskill Mountain Rail Trail (Route 28). With your help we can #BuildThisTrail!